We really love this wedding. The bride put together a really beautiful event with help from Grit + Gold. Here is what they had to say about Kristin and Joseph’s special day: “I am creating a new word for this wedding… earthchic. 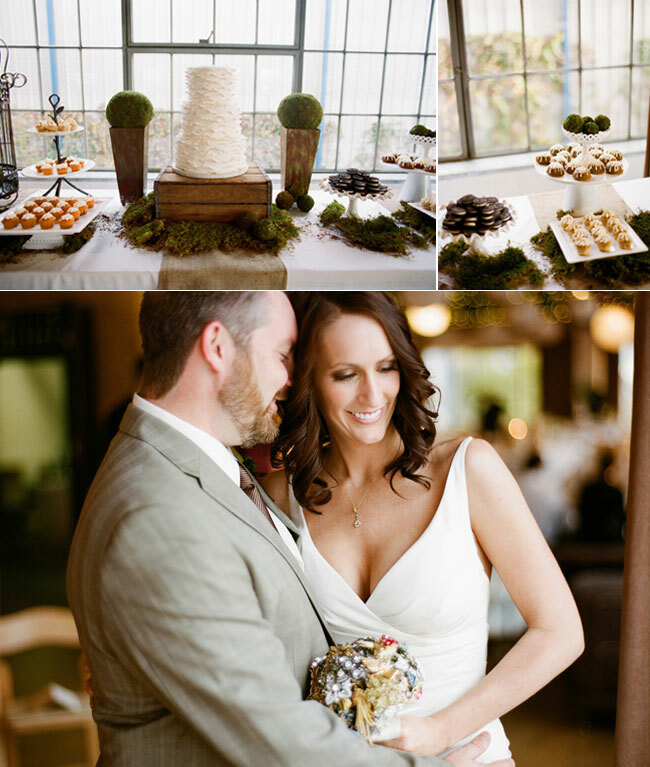 While Kristin loved textures like burlap, she still loved the frilly feel of ruffles. And while she adores moss, she still loves a clean and chic look. Oh my goodness she looks absolutely stunning. Hope you are blogging this wedding, can’t wait. Well done. What a perfect combination of earthy and classic elements! I just adore the neutral color palatte. So fresh and clean! Thanks so much for the love!! We heart Love and Lavender.